IT pros have long enjoyed the Active Directory functionality called Group Policy Objects (GPOs) for their Windows devices. Unfortunately, they can’t manage Mac and Linux devices similarly. This has been a significant shortcoming for Active Directory administrators. The opportunity to have cross platform GPOs (or GPO-like capabilities) is an enticing and interesting possibility. It’s important to step back and understand how things evolved. In 1999, Microsoft introduced Active Directory. AD quickly became the directory service of choice. A key component that helped make this identity provider a monopoly was the ability to remotely execute tasks and run commands on Windows devices. Since the world was almost exclusively Windows, there wasn’t a need for this capability for Mac and Linux devices. As the IT landscape started to shift and mixed-platform environments became much more popular, IT admins were presented with significant challenges. How do they remotely manage these non-Windows devices and with similar control that they have with Windows? For a long time, the answer was to not manage them. Most Mac users were left on their own. And Linux users were generally savvy enough to keep themselves out of too much trouble. This approach, of course, gave rise to the movement of BYOD (Bring Your Own Device). Really, it was driven by the fact that IT admins couldn’t centrally control those devices, but their users still wanted them. With JumpCloud’s Directory-as-a-Service®, you can manage devices across all three major platforms from one central console. You don’t have to give up the benefits of Active Directory GPO-like functionality as you move to a cloud directory service. 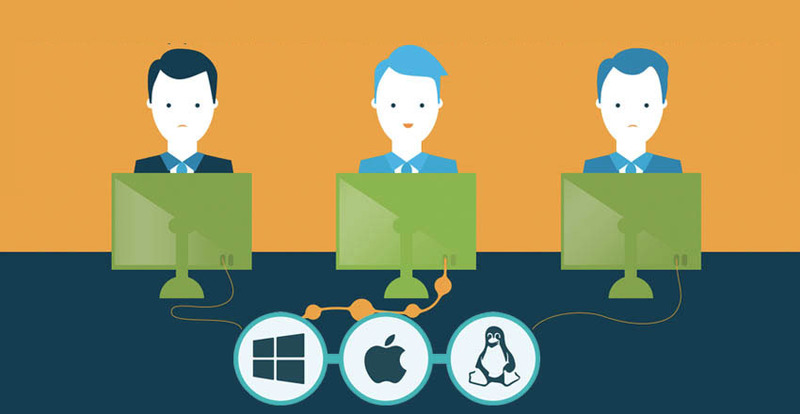 In fact, you can step-up your capabilities with a cross-platform, GPO-like solution. JumpCloud’s approach to delivering policy capabilities is driven by the ability to execute commands and scripts across Mac, Windows, and Linux devices. IT admins can set up policies to execute ad hoc or on a schedule. Those policies can be built in whatever language that the device can support. Windows, for example, supports Powershell, but with Linux, you can leverage a wide variety of scripting and programming languages. 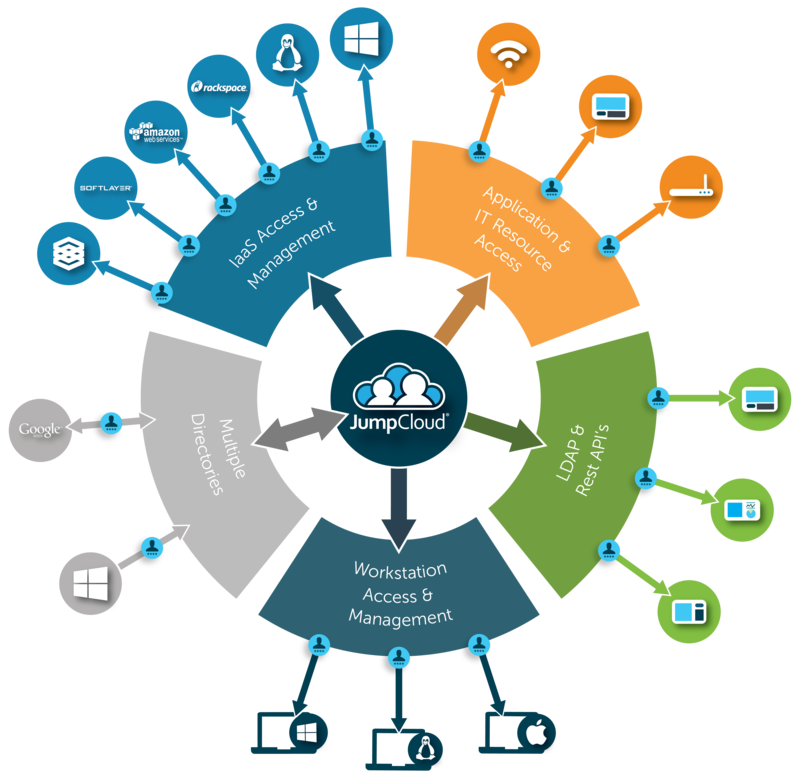 Further, JumpCloud’s cloud identity management platform has built-in logging information to help track successes and failures of tasks that have been executed on the various devices. 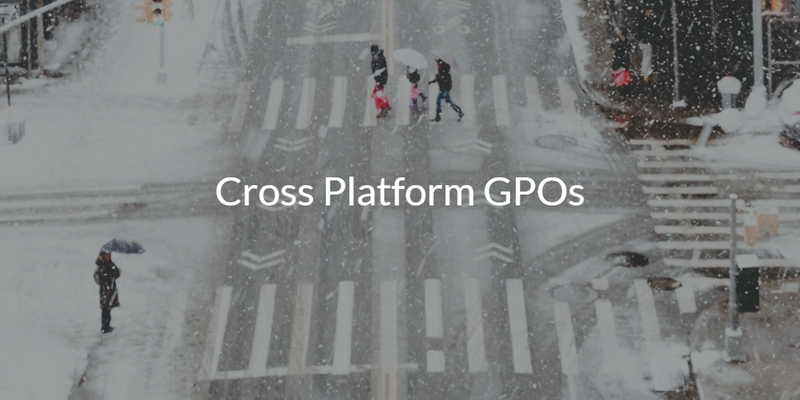 If you would like to learn more about cross platform GPOs or, more accurately, GPO-like capabilities for your Mac, Windows, and Linux devices, drop us a note. 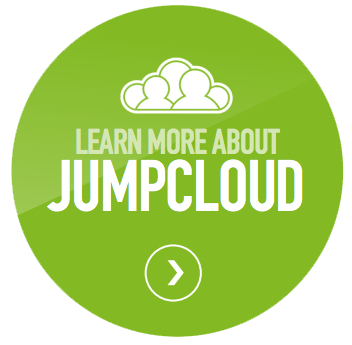 We think that you will see how JumpCloud is reimagining Active Directory for the modern cloud era. Also, please check out our IDaaS platform by signing up for a free account. Finally, please be aware that your first 10 users are free forever.